Iran confirms that Amir Hossein Mottaghi, a close associate of Rouhani, defected while covering nuclear negotiations in Switzerland. 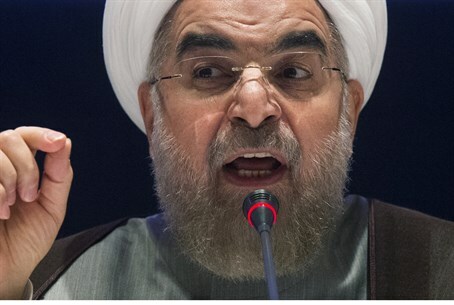 Iran has confirmed that an Iranian journalist defected while covering nuclear negotiations underway in Switzerland between Tehran and world powers, The Associated Press (AP) reported on Monday. The Foreign Ministry, in a statement carried by the official IRNA news agency late Sunday, said the journalist defected last week and was suspended from his job at the semi-official ISCA agency, a less known media outlet in Tehran. The ministry did not identify the reporter, but he was identified by the British Telegraph in a report over the weekend as Amir Hossein Mottaghi, who managed public relations for Iranian President Hassan Rouhani during his 2013 election campaign. According to the Telegraph, Mottaghi appeared on an opposition television channel based in London to say he no longer saw any “sense” in his profession as a journalist as he could only write what he was told. “There are a number of people attending on the Iranian side at the negotiations who are said to be journalists reporting on the negotiations,” he was quoted as having told Irane Farda television. “But they are not journalists and their main job is to make sure that all the news fed back to Iran goes through their channels. The arrest of the Washington Post reporter is just another example of Iran’s media crackdown. In 2013, a dozen journalists were arrested and jailed in Iran on suspicion of cooperating with Persian-language foreign media outlets. A month earlier, Iranian authorities hauled in nearly a dozen journalists ina similar crackdown, accusing them of cooperation with foreign news outlets as well. All publications in Iran must be approved by the ministry of culture and Islamic guidance to ensure they comply with the Islamic republic's strict code of morality.